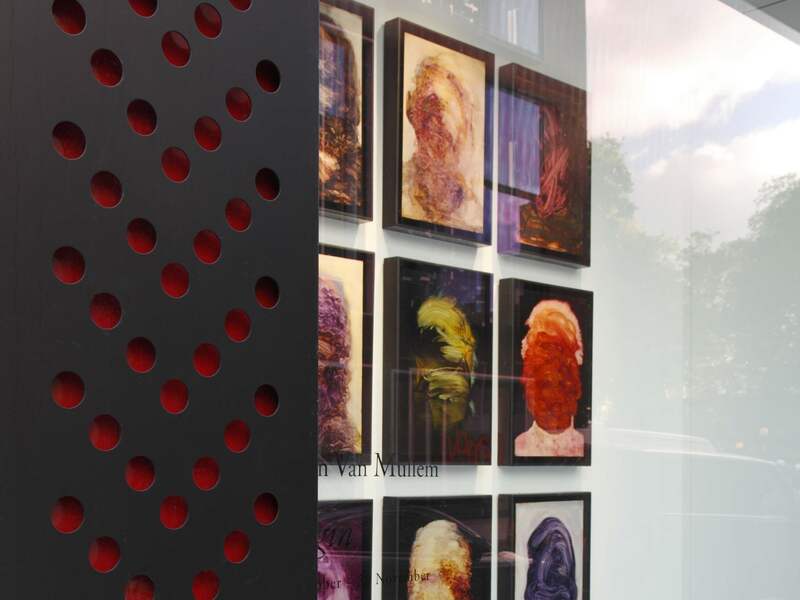 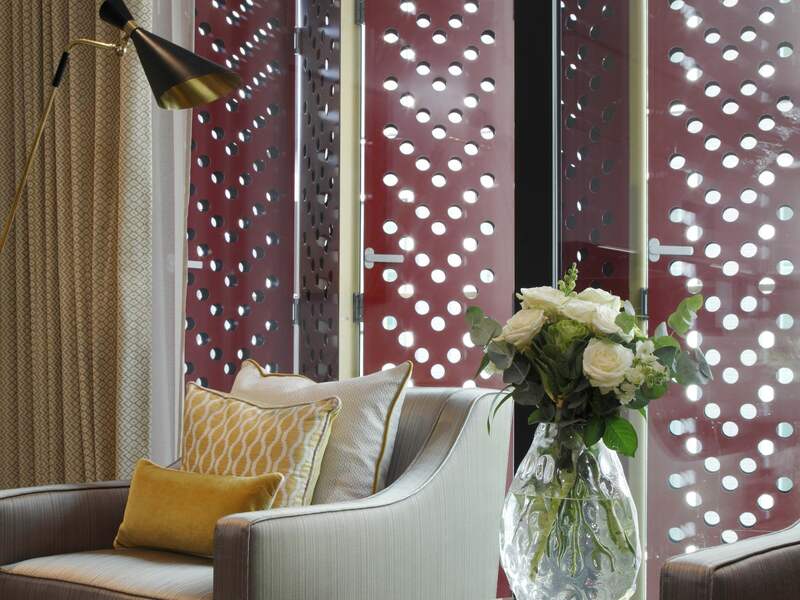 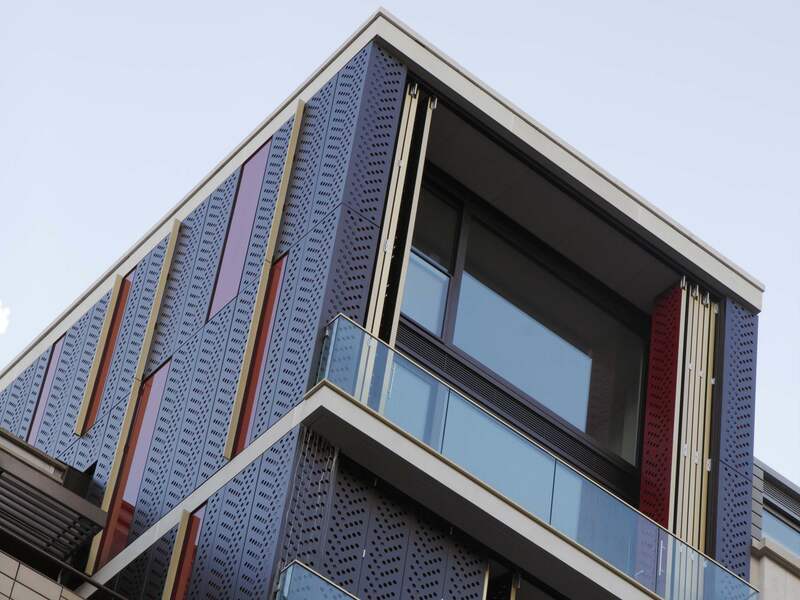 Metalline have supplied a range of bespoke anodised aluminium rainscreen panels and perforated shutters, to the side, rear and front of a luxury residential development in Hanover Street. 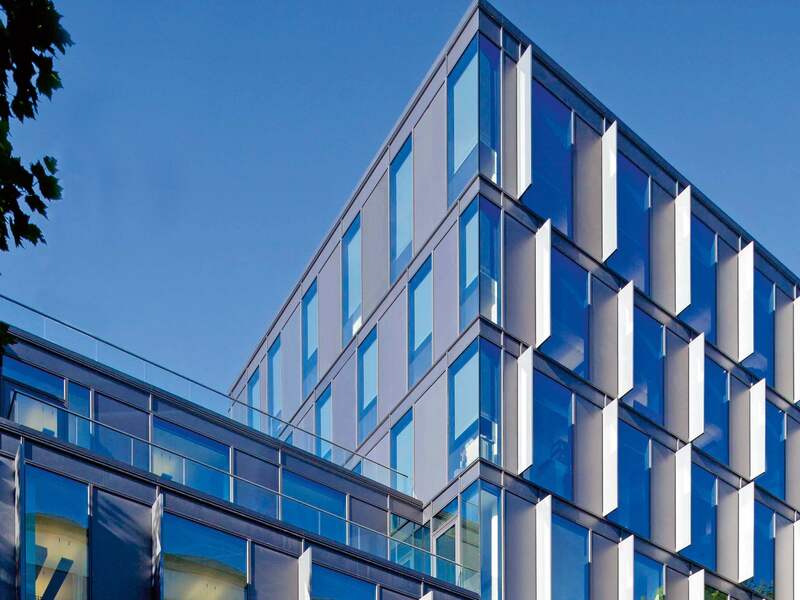 The development sits within the conservation area of London’s Mayfair district. 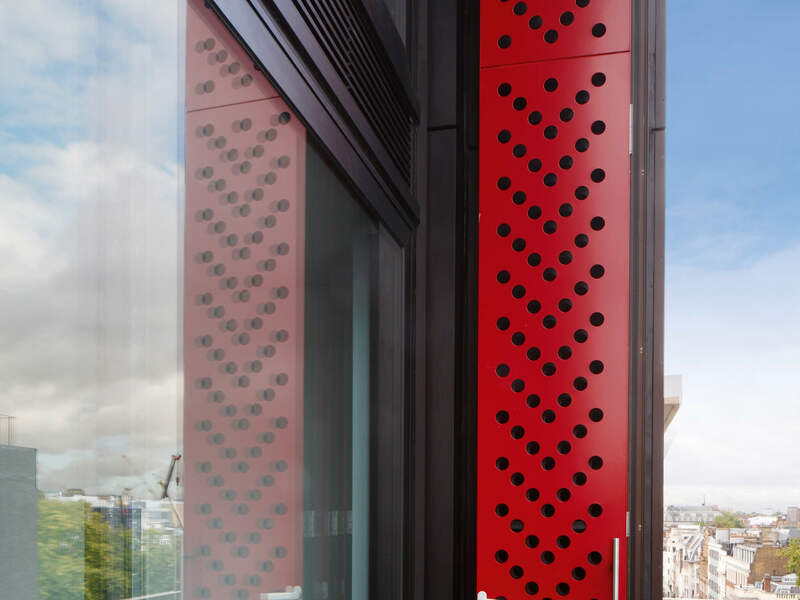 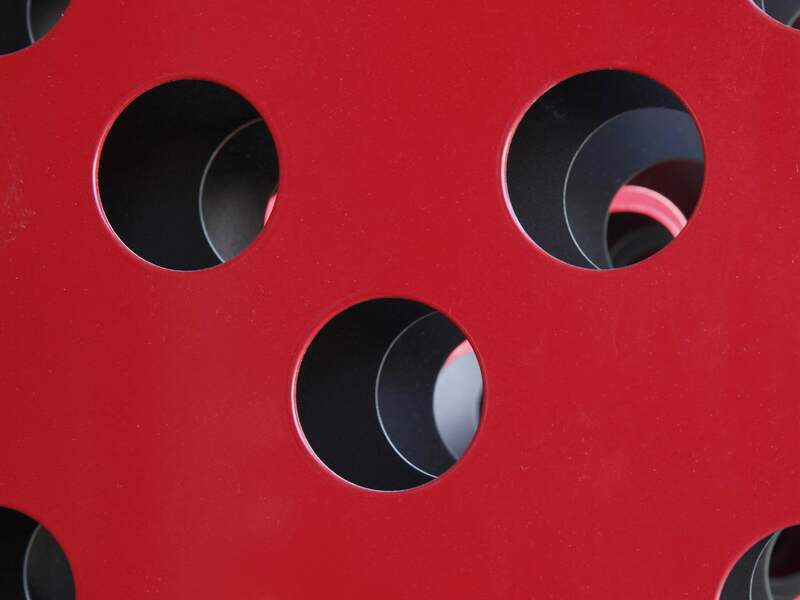 Fabricated on a CNC turret punch press using high grade J57S UP aluminium, the exterior featured hook on Unity rainscreen panels finished in bronze anodised and aluminium infills in a red polyester powder coating. 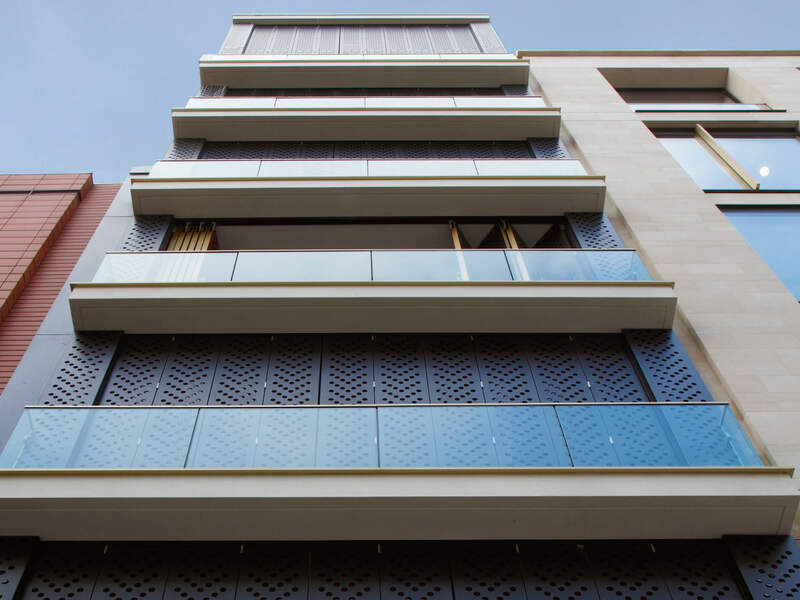 The balcony detail was enhanced with impressive folding shutter doors designed to offer, security, shading, ventilation and noise control from the streets below. 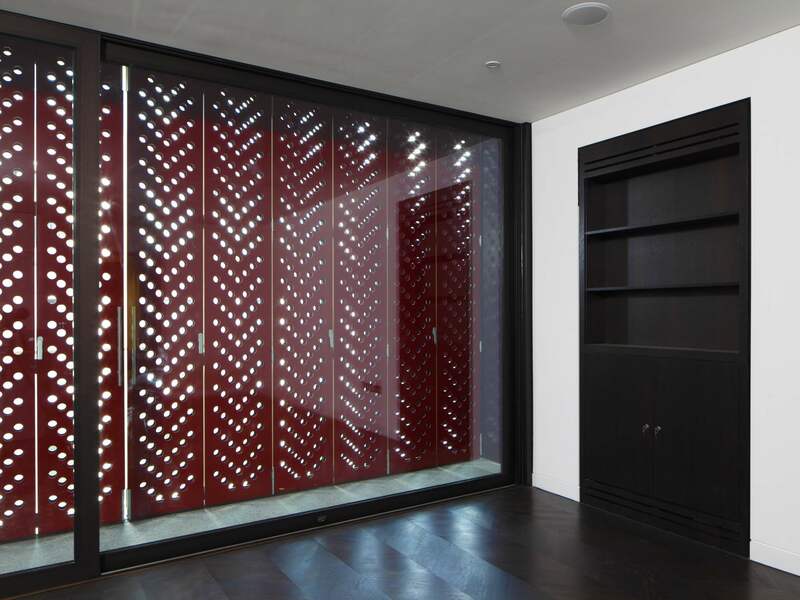 The outer skin to the shutters was finished in bronze anodised to match the exterior panels. 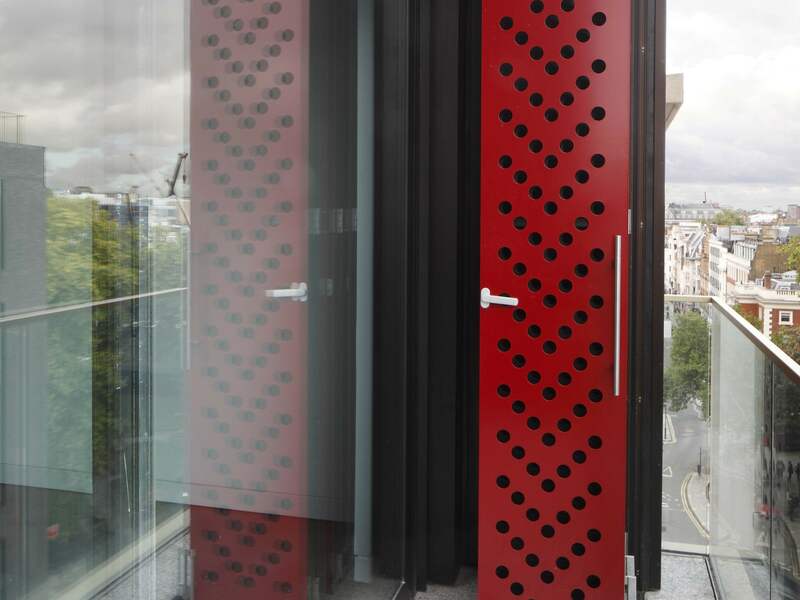 They also featured a regency gold anodised finish to the side plates and a red polyester powder coating to the interior screen that when folded added to the aesthetic design of the building.